In a recent column praising the work of Mark Krikorian, executive director of the nativist organization Center for Immigration Studies, CNN contributor David Frum, also a Daily Beast contributing editor, wrote that "because the illegals are predominantly very low-income, their demand on such [social welfare] programs will be heavy -- and not only long-term, but likely multigenerational." Krikorian also peddled this falsehood in a March 19 National Review Online column, writing that because immigrants are "so unskilled and thus earn so little money... they are inevitably net costs to taxpayers." WND repeated similar claims in an exclusive interview with Roy Beck, executive director of nativist organization NumbersUSA who said that Republican Sen. Rand Paul's immigration reform plan -- which has many of the same pro-immigration stances as proposals being floated by President Obama and the bi-partisan group of senators known as the "Gang of 8" -- would have serious economic consequences and is "a keeping wages low plan." 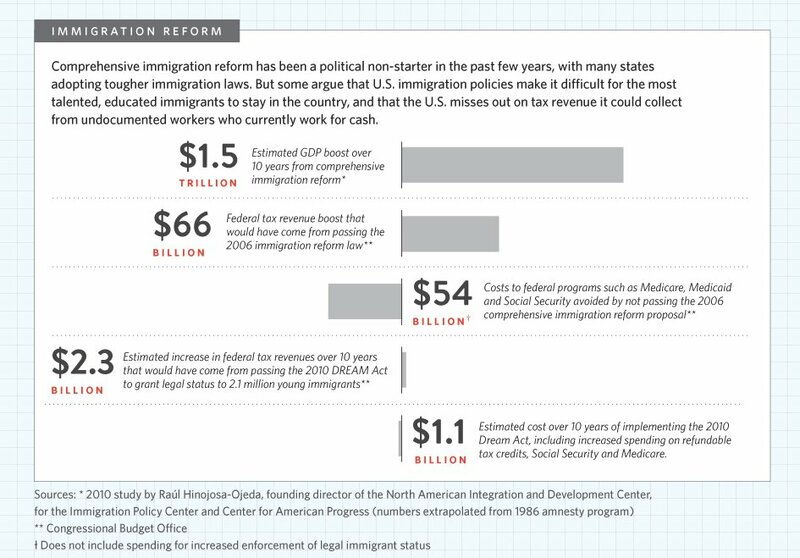 The report also found that three-quarters of small business owners believe that comprehensive immigration reform would add $1.5 trillion to the economy over the next 10 years and produce a net increase in tax revenue of $4.5 billion to $5.4 billion in the first three years.